Nearly two-thirds of the NBA league’s teams had chosen a Jersey sponsor before Dallas. Fans and media across the country speculated which company the Mavericks would partner with. Dallas-based brands like GameStop, Whataburger, Nieman Marcus, and AT&T were just a few of the names being thrown around. 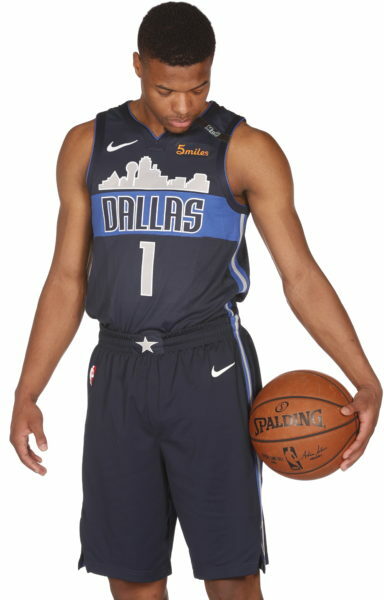 Yes, that orange 5miles logo will be on the left front shoulder of every official Dallas Mavericks jersey on court for at least the next 3 seasons, at every game, in every city. 5miles helps the Mavericks become the first team in the NBA to accept various forms of cryptocurrency. The only other team to do something like this is the Sacramento Kings, accepting just bitcoins. Beginning in the 2018-19 season, Mavericks tickets and merchandise can be bought using CyberMiles tokens, Bitcoins, and Ethereum. Mavs Fans will also be able to sport the 5miles logo for free. Everyone in attendance receives a Mavs’ Special Edition T-Shirt during Dallas Mavericks home games that land on a Tuesday. The next one is on Tuesday, April 3, 2018. 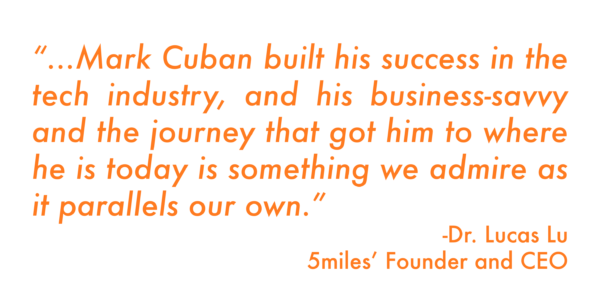 One of the main reasons Mark Cuban, the owner of the Dallas Mavericks, chose to partner with 5miles is because off the app’s mission to create a safer and more secure marketplace, in part, by using blockchain technology. The Mavs launched the “Entrepreneurial Expedition” program in 2017 to help reach hundreds of middle school students throughout DFW. 5miles will work with Mark Cuban and the 5miles Brand Ambassador, Mavs forward Harrison Barnes, to expand the program in up to 30 schools across Texas over the span of the partnership deal. While trying to decide on a Jersey sponsor, the Mavs judged companies by their logo colors and size. They needed a brand that would seamlessly fit into their color scheme and designated spot on the jersey. Pun intended. 5miles has over 1 million users in the DFW area alone. The Mavs will use the app as a marketing tool to interact with fans and users frequently. Dallas Mavericks decision makers wanted to pair with a company that is Dallas-based and had never done business with the Mavs before. NBA regulations state the maximum contract agreement length per patch-sponsor is three seasons but the Mavericks-5miles agreement includes clauses that could lead to a contract extension if the league decides to continue forward with the same sponsor. 5miles is a company that runs on technology innovation. As a result, Our app helps connect local business with consumers they may have not dealt with before. At 5miles, we consider ourselves as being tech entrepreneurs… so this is the ideal opportunity to affiliate with one of the hosts of Shark Tank and the owner of the Dallas Mavericks, who is a well-known Business Leader, Entrepreneur, and Philanthropist. Read the press release here and find more information about the new partnership at m.5milesapp.com/mavs. 5miles Thanks Our Teachers! Happy Teacher Appreciation Week!